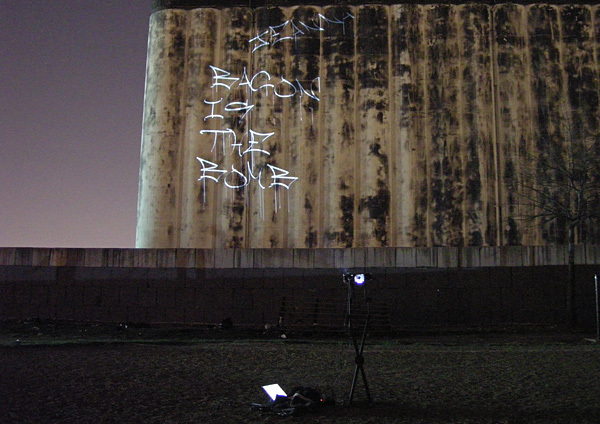 Working with Adam Chapman, it’s now possible to write like the pros from the comfort of your own mobile phone. 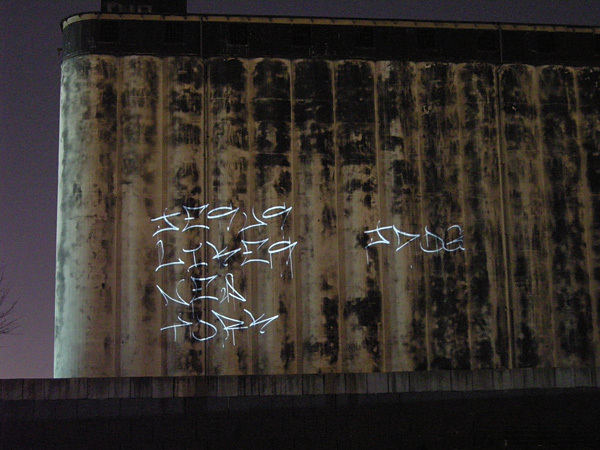 Send a text message and watch it spelled out in the writing style of Jesus Saves. 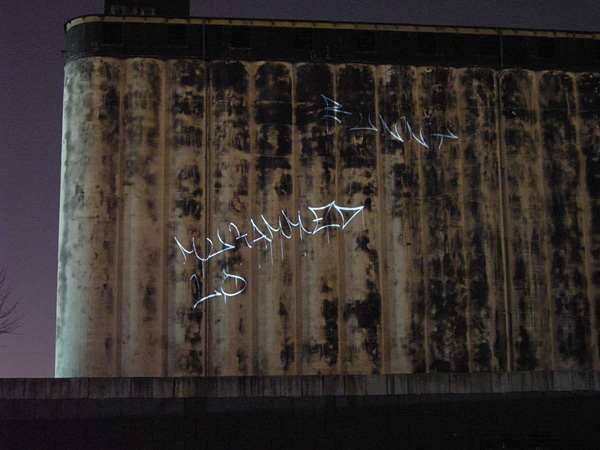 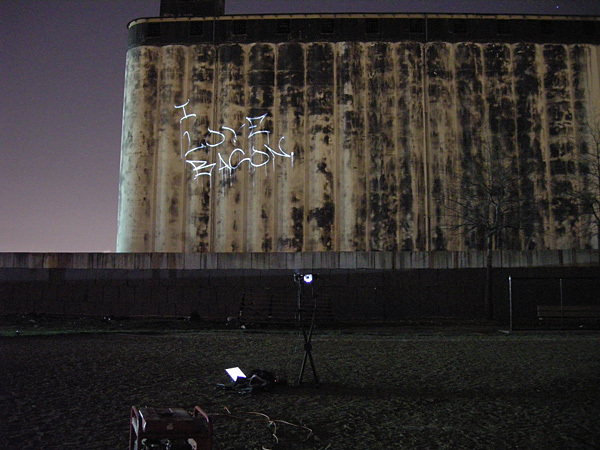 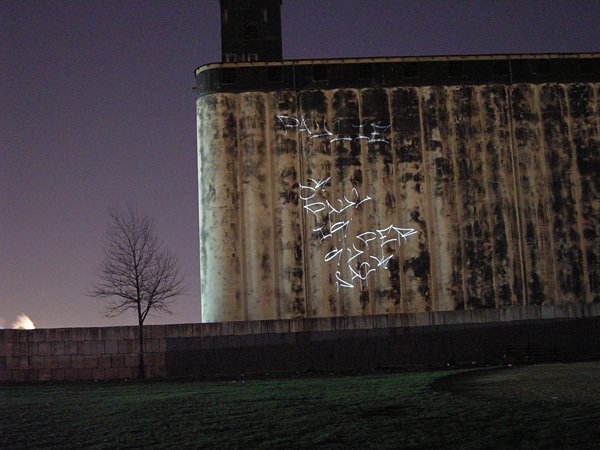 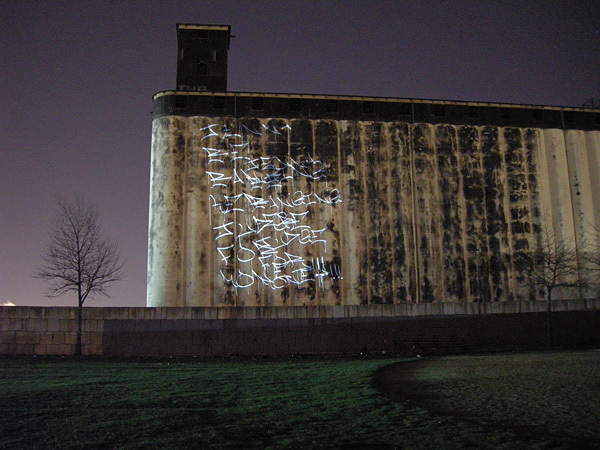 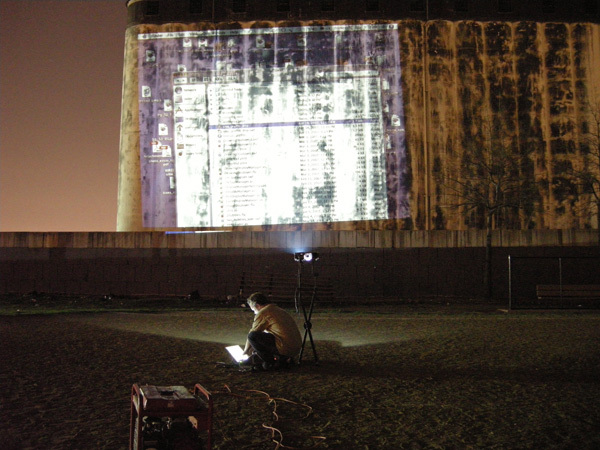 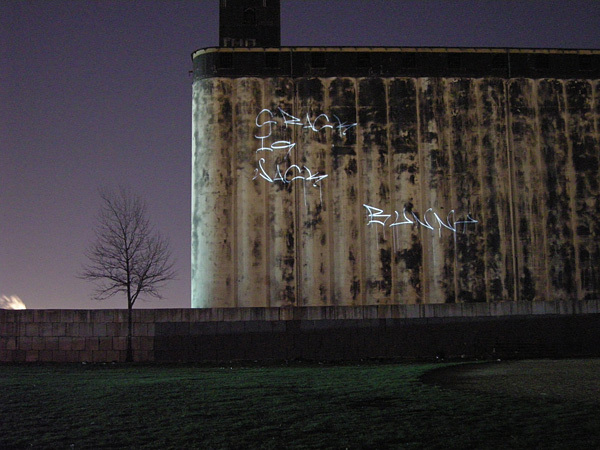 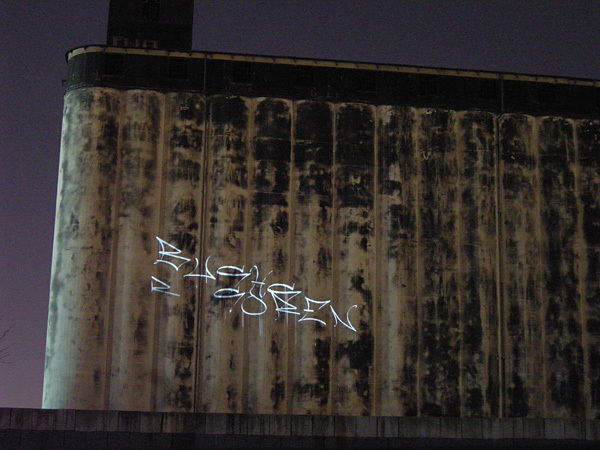 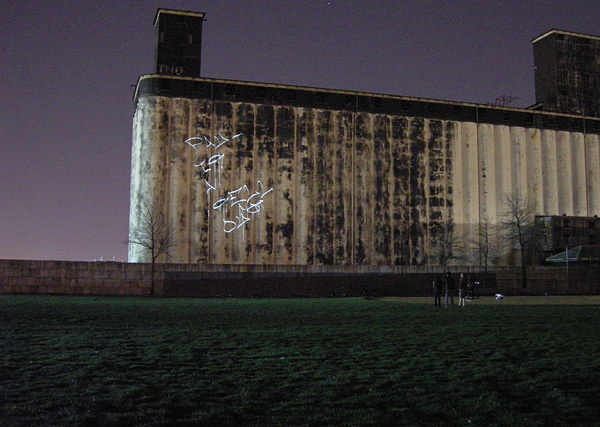 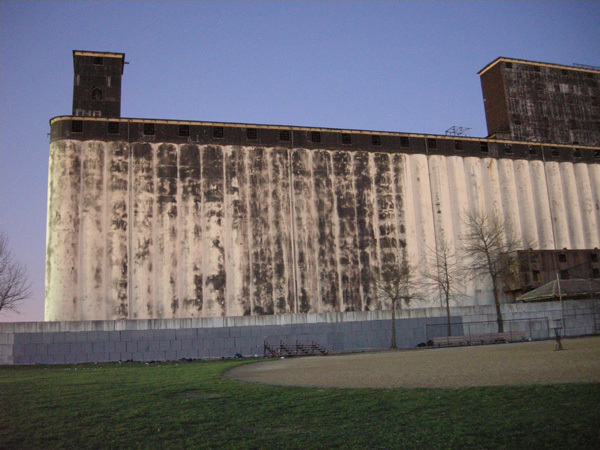 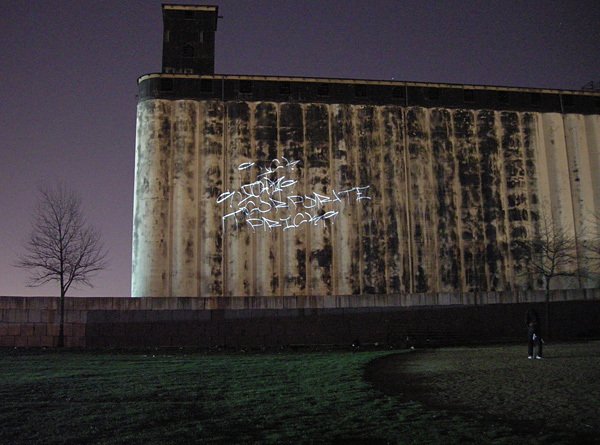 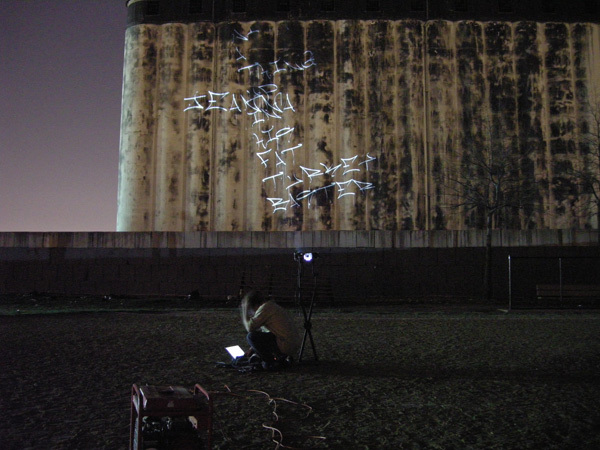 We went down to Redhook with Seth, Jeanna, and Soren and projected on the Grain Storage building. 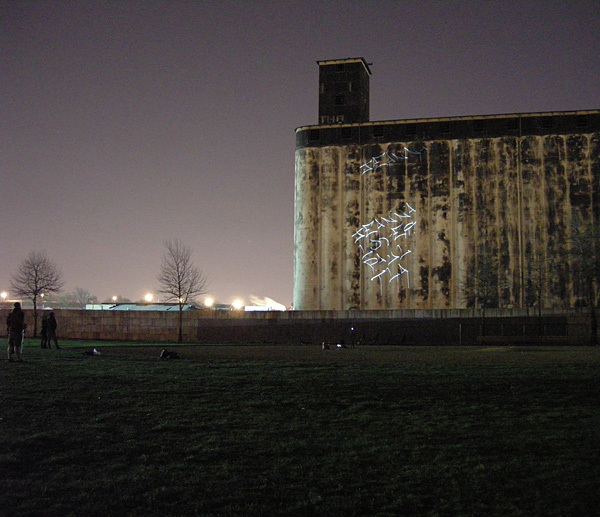 Using my 3500 Lumen projector and a generator we set up in a baseball field of the Redhook Playing Fields.